computers may lose memory data. When battery power is restored, driveability problems may exist on some vehicles. These vehicles may require a relearn procedure. See COMPUTER RELEARN PROCEDURES article in GENERAL INFORMATION section. Halogen bulbs contain pressurized gas which may explode if overheated. DO NOT touch glass portion of bulb with bare hands. Eye protection should be worn when handling or working around halogen bulbs. Keep hands away from radiator fan. Fan is controlled by a thermostatic switch which may come on or run for up to 15 minutes even after engine is turned off. Fig. 1: Service Point Locations (Typical) Courtesy of American Motors Corp. Fig. 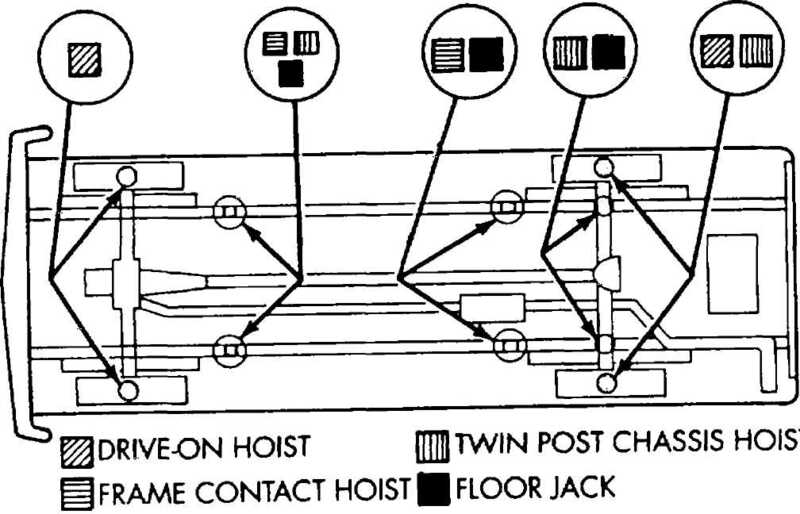 2: Hoist Lift Point Locations Courtesy of American Motors Corp. Fig. 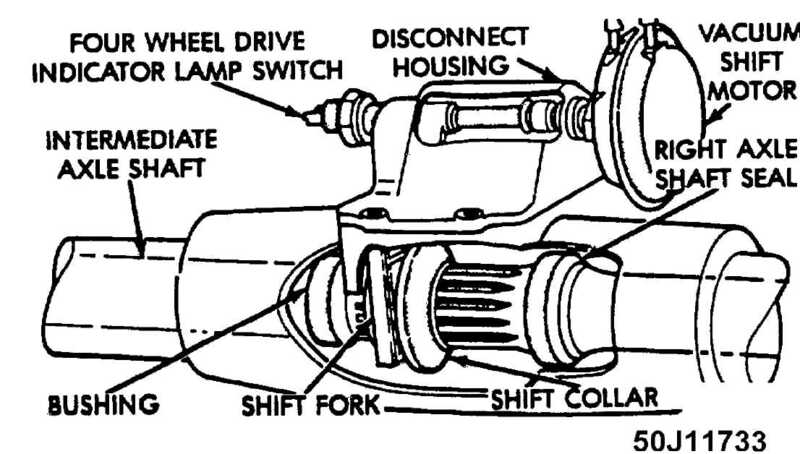 3: Brake Caliper Lubrication Points Courtesy of American Motors Corp. 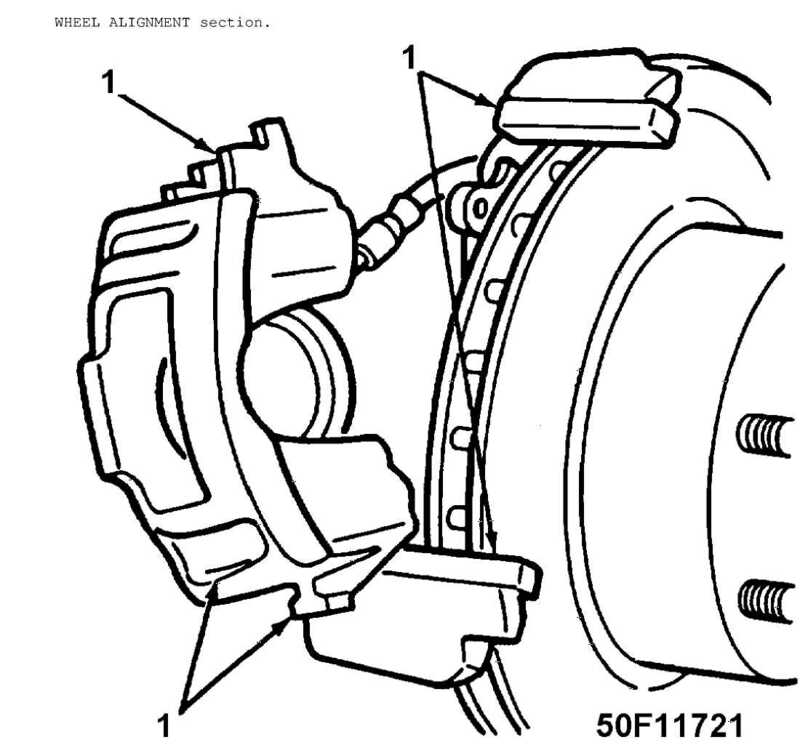 NOTE: For more information regarding brake maintenance refer to the BRAKE SYSTEM article. Fig. 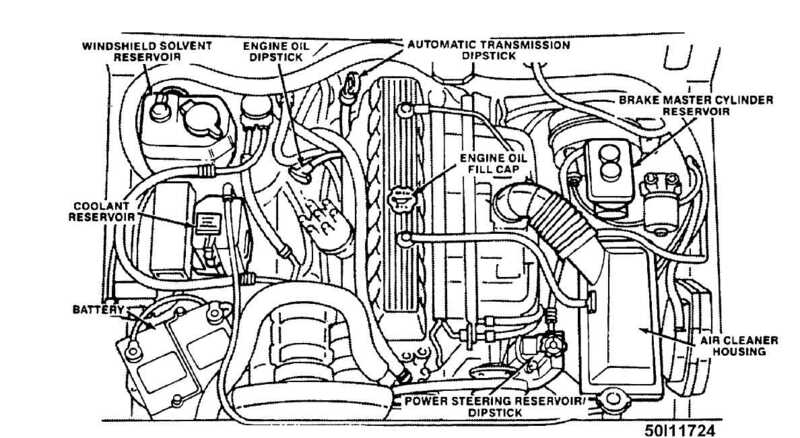 4: Front Disconnect Housing Lubrication Point Courtesy of American Motors Corp. Fig. 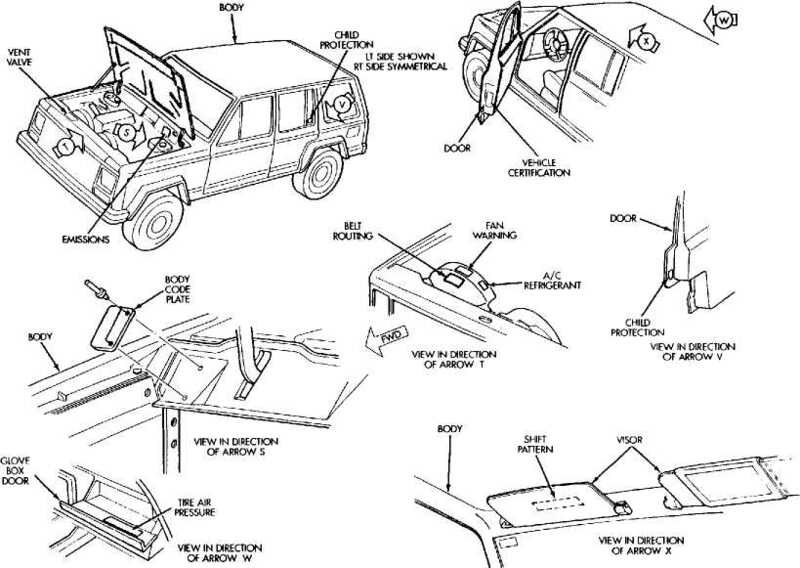 5: Identification Label Locations Courtesy of American Motors Corp.
at the mileage, hours of operation, or 5 last time), whichever comes first.